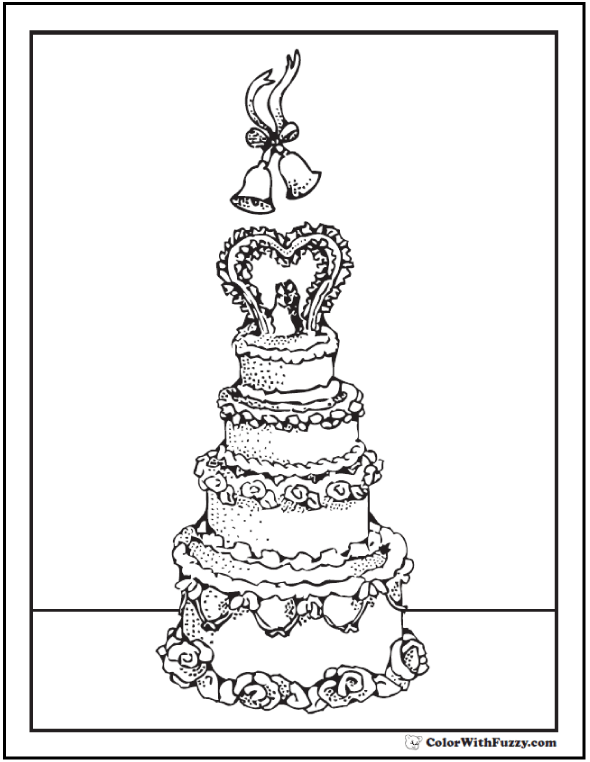 20+ Christmas, wedding, and party cake coloring pages. 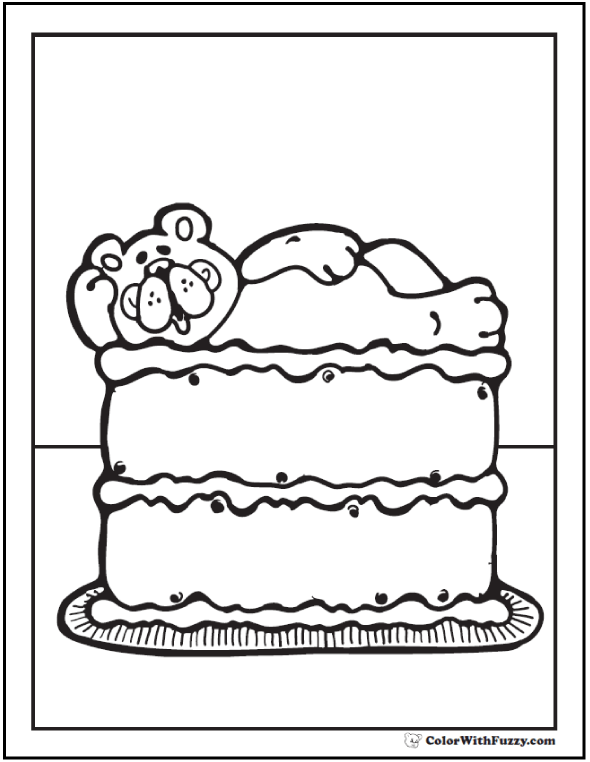 I love these cake coloring pages. These pictures remind me of my favorite parties and weddings. 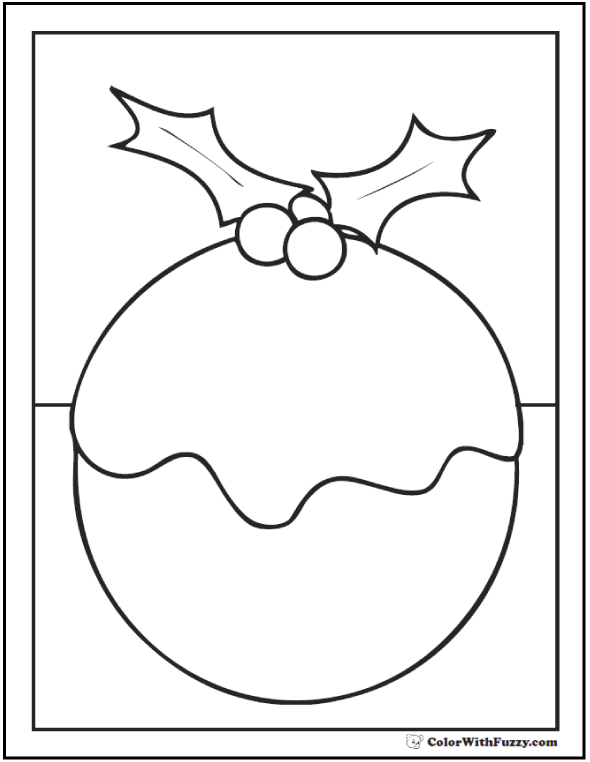 My coloring sheets have Christmas decorations, three tiered wedding cakes, lovely cherries and flowers, and best of all: a baker and a chef to make the cakes. I love a cake at Christmas time. There are so many holidays and parties in this season. My favorite is a cake for Baby Jesus on His birthday. 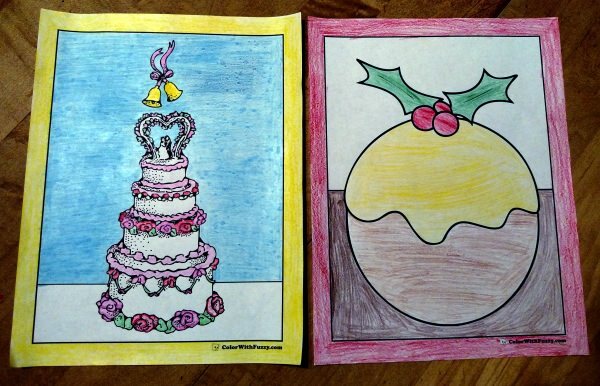 Actually if you use red and green on the frosting, any cake can be a Christmas cake. 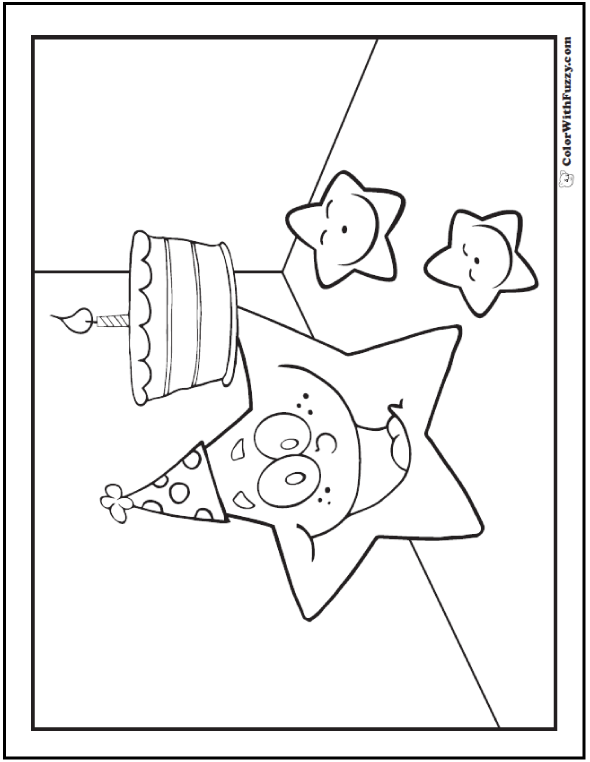 I have more birthday cakes to color here. Wedding cakes are beautiful! Sometimes they are three tiers tall with flowers all around and pretty statues on top. 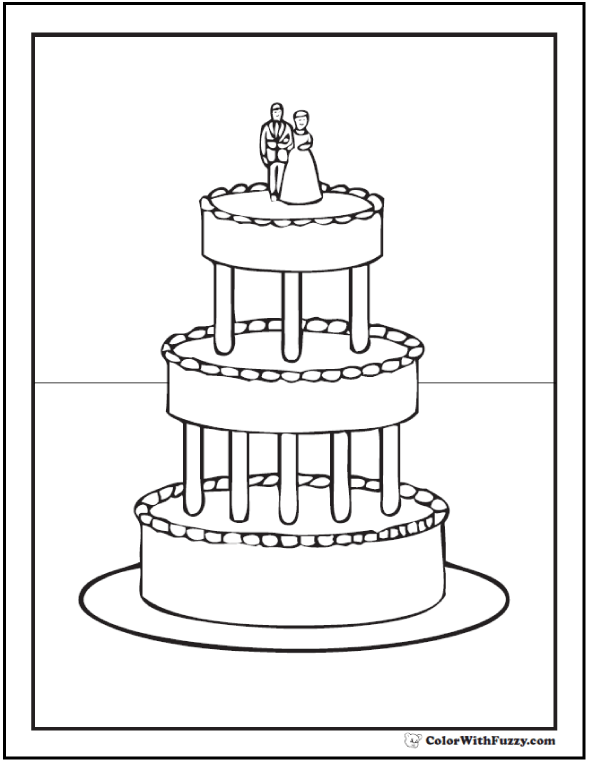 Remember to leave the cake white if you want a white wedding cake. 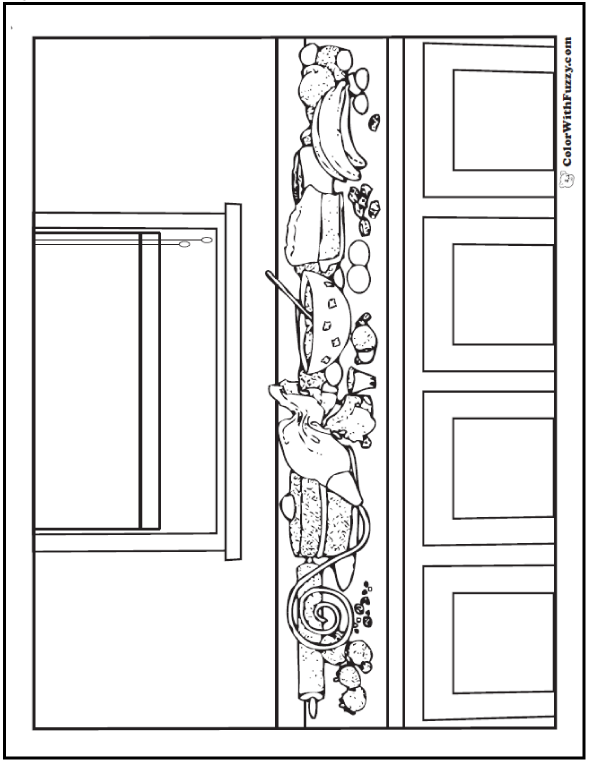 How do you color it? Easy. 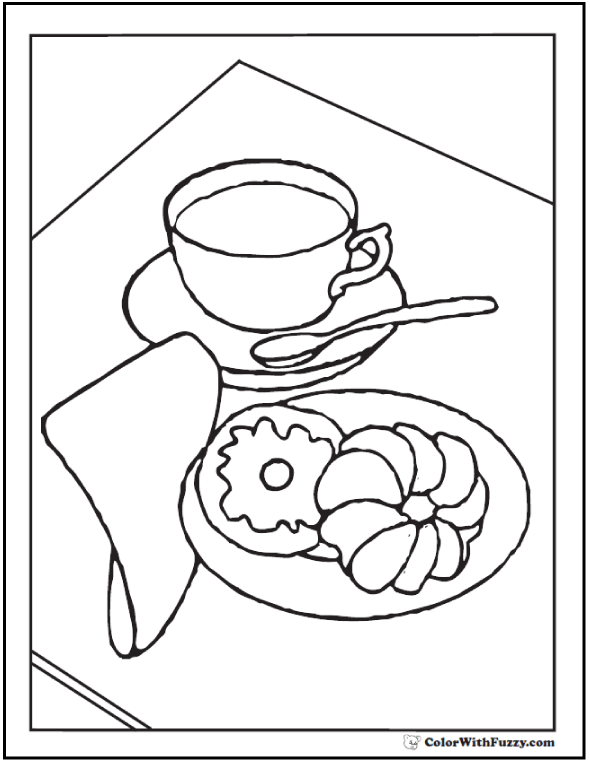 Color the background. 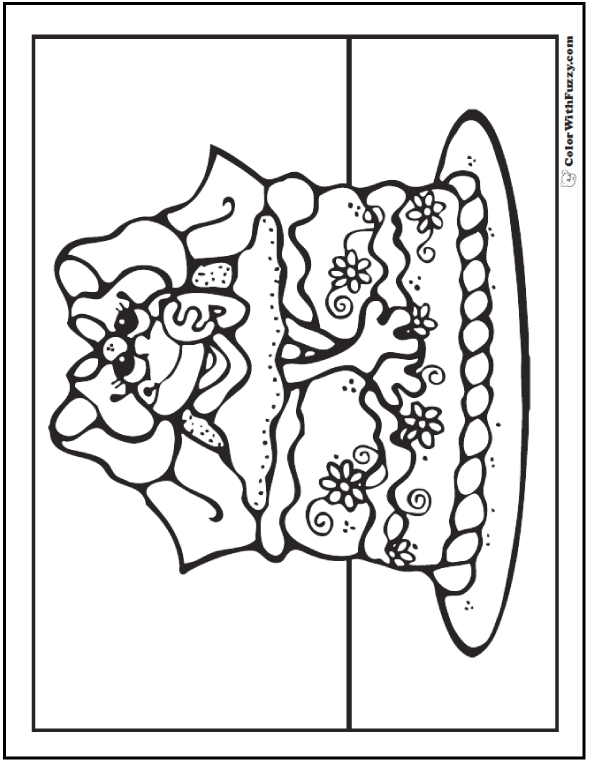 Who makes cakes? 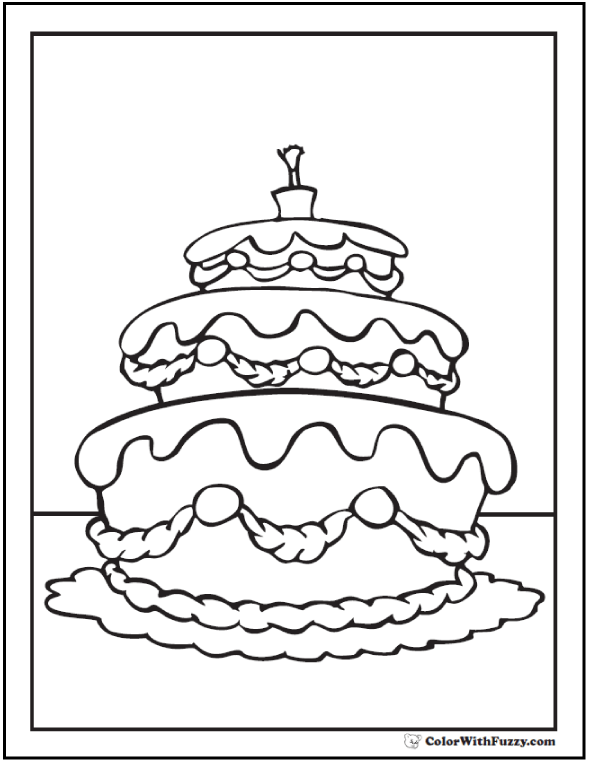 Sometimes a baker or a chef will make them, especially the very fancy cakes. My Mom makes my favorites! 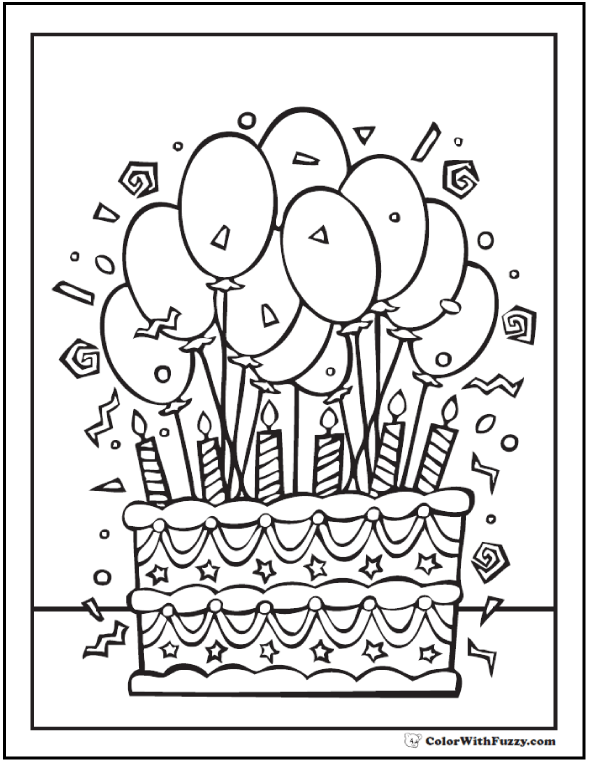 I have made lots of pretty birthday cakes to color with high tiered cakes, lots of flowers and decorations, and, best of all, candles. 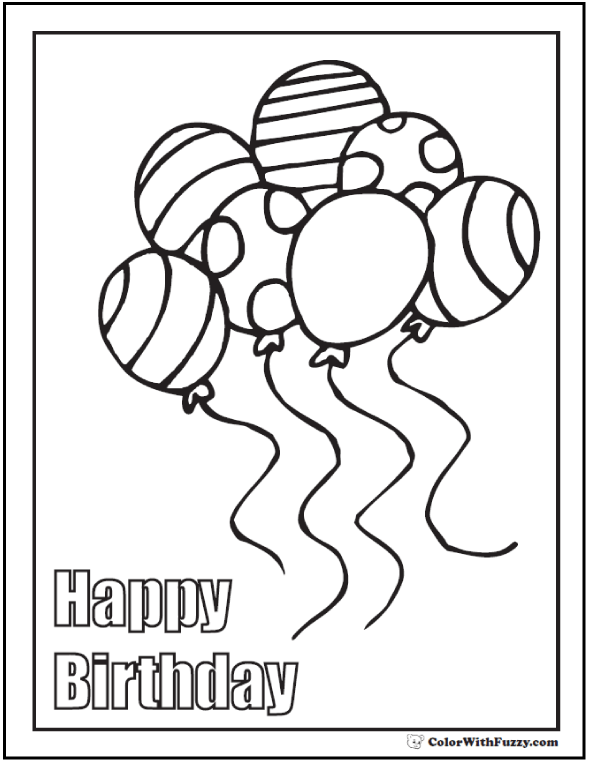 Plenty for baby's first birthday and for anniversaries. 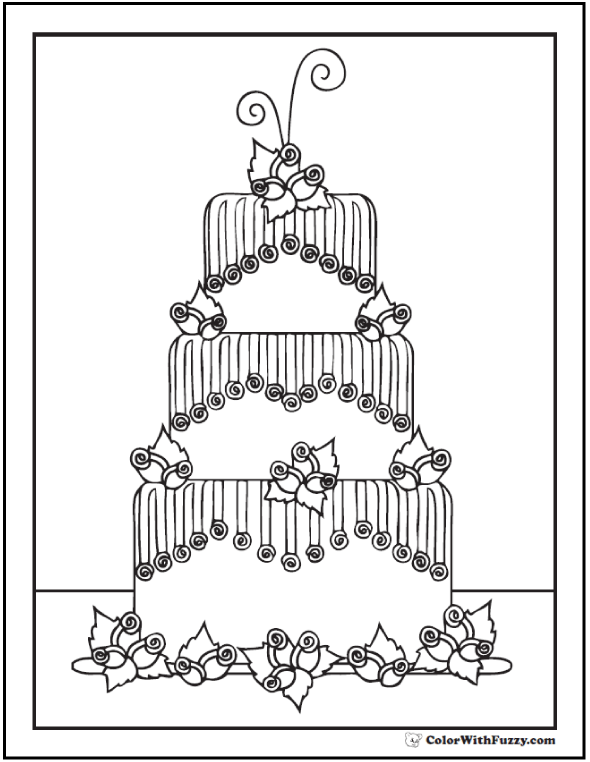 See over 25 birthday cakes to color here. 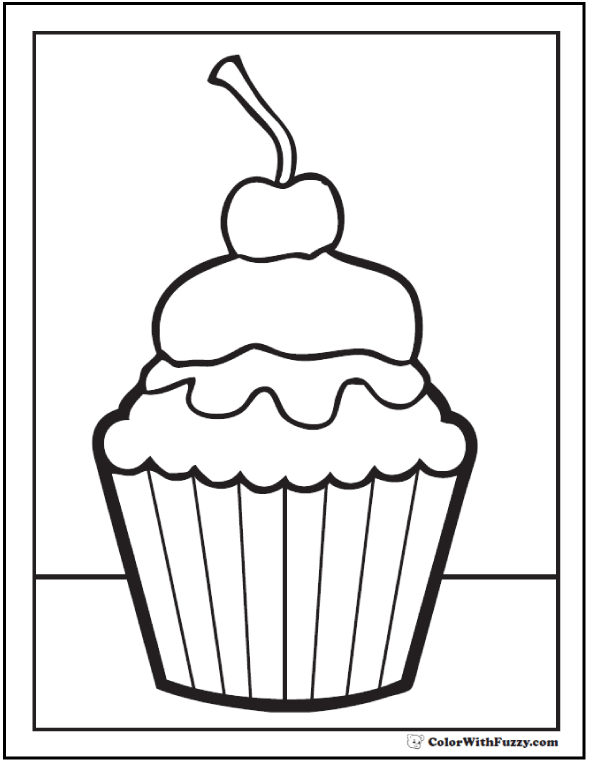 Cakes are for both children and adults. 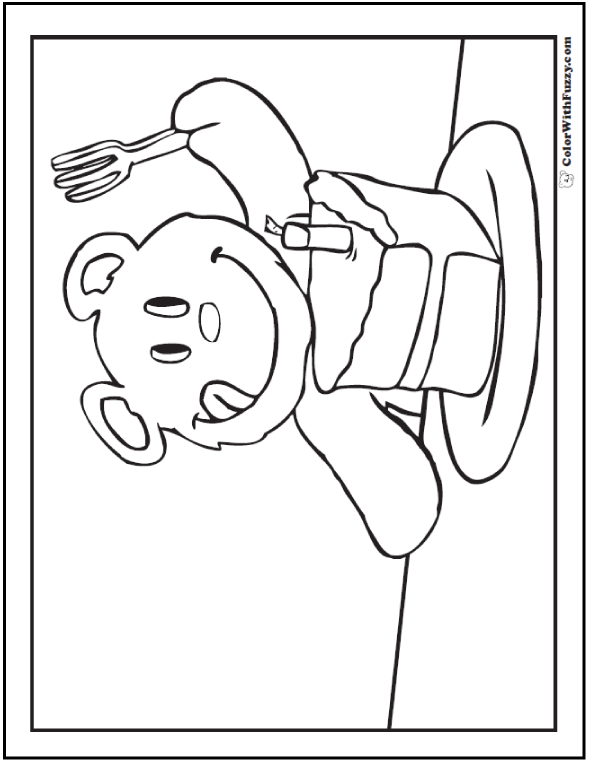 Coloring holiday cakes is fun for preschoolers and kindergartners when the big holidays are coming. 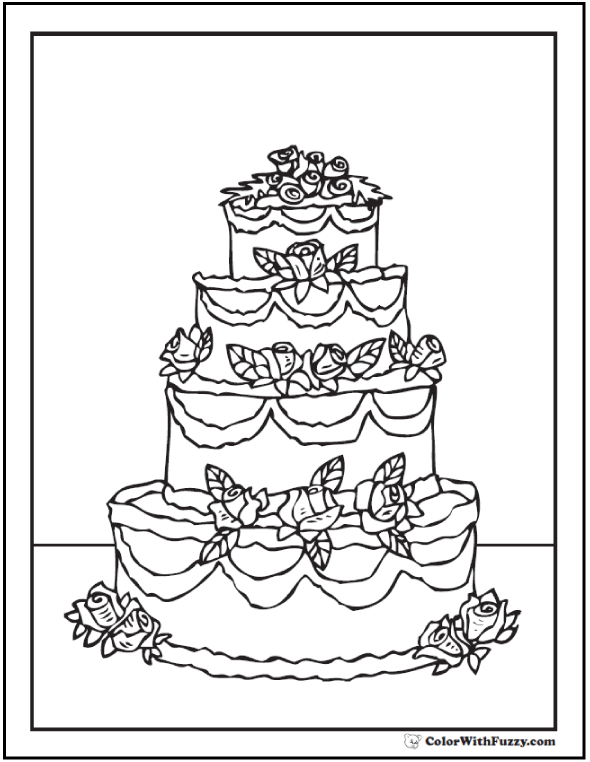 Kids love to choose their favorite wedding cakes to color when family and friends are getting married. 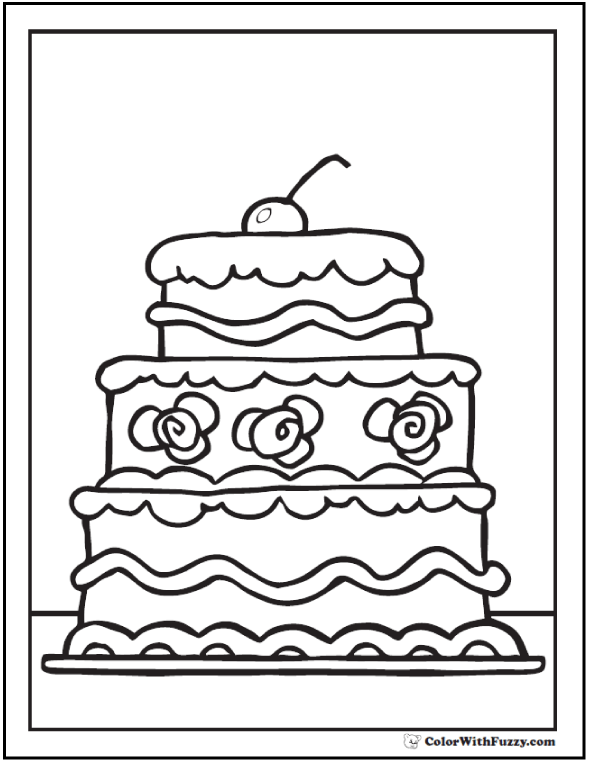 When kids want to "color" a white cake as with a wedding cake picture, have them leave the cake white and color the background in their favorite colors. 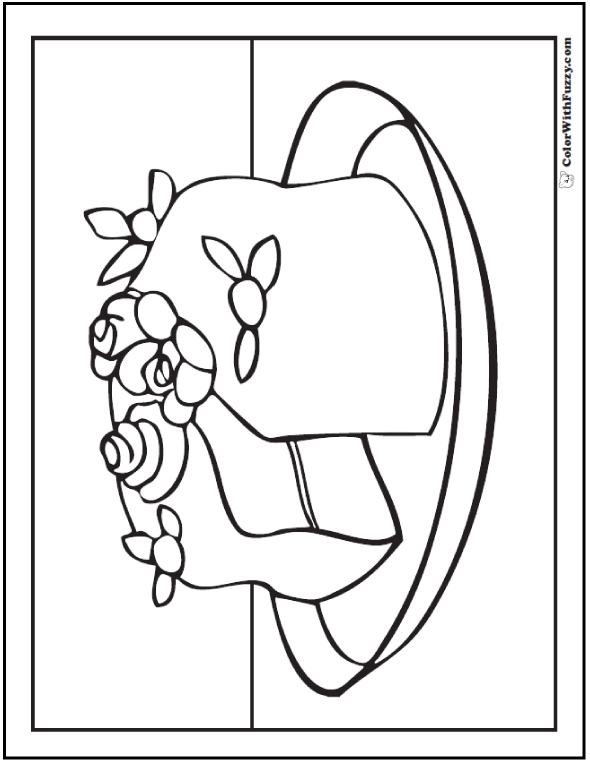 Red cherries and green leaves give wonderful splashes of color to a white cake, too. Purple, pink, and yellow flowers brighten a plain picture, too. 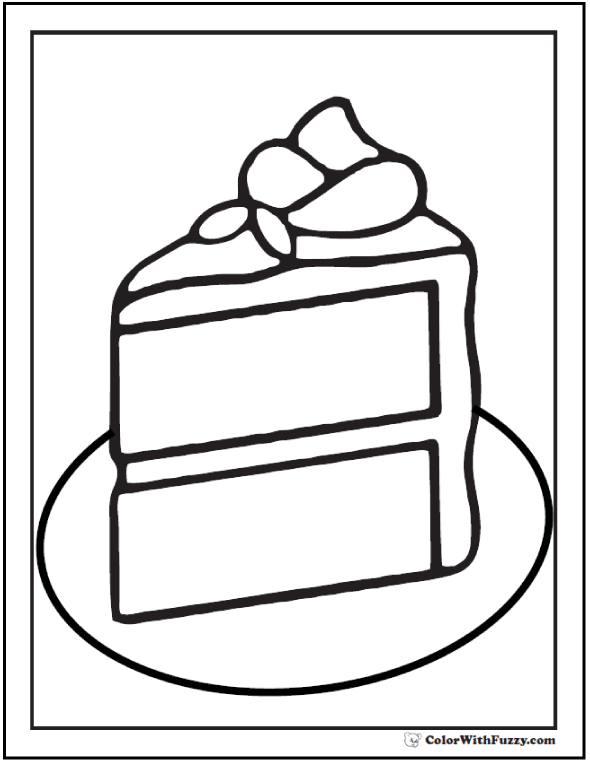 Some cakes look great in chocolate brown frosting with a light pink or bright yellow piped along the edge. 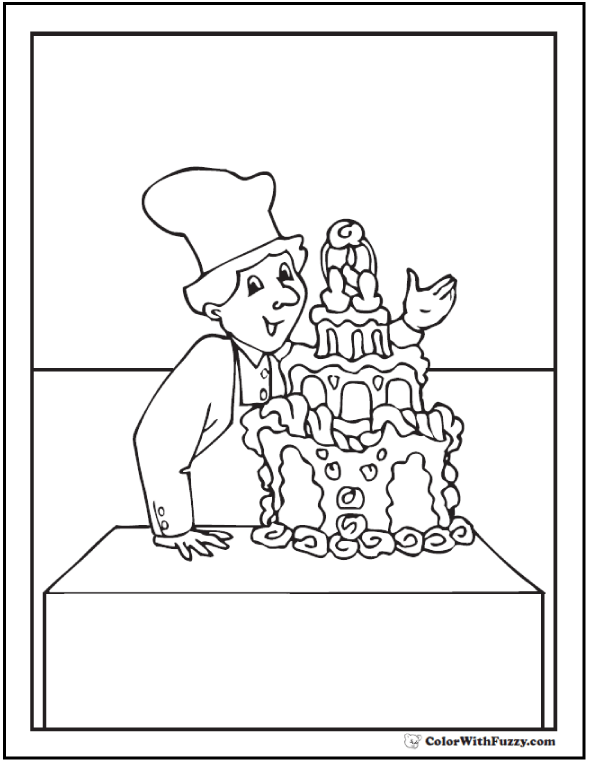 Coloring lightly with a brown crayon can give the effect of milk chocolate frosting while pressing heavily can satisfy dark chocolate lovers. Be sure to ask, "What do you like? Is your favorite milk chocolate or dark chocolate?" My favorite is milk chocolate! 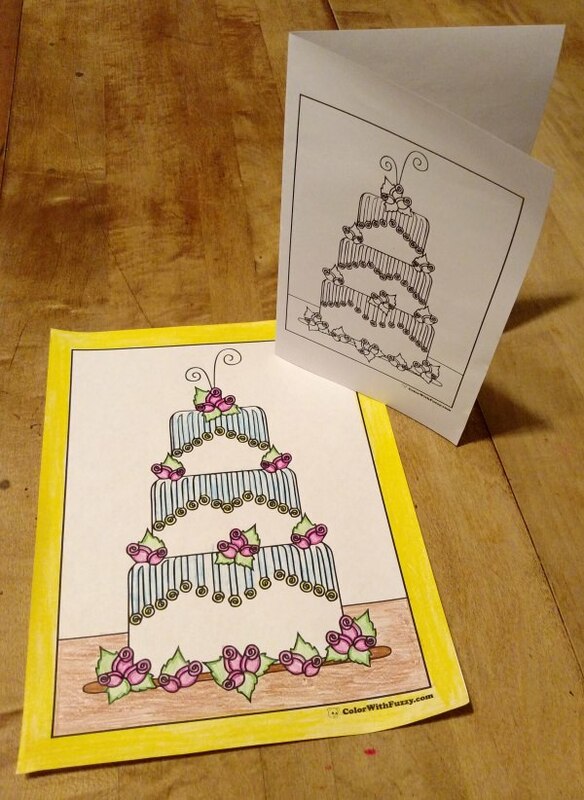 Any of my printable coloring pages can be made into printable greeting cards and children love being able to send a wedding card. 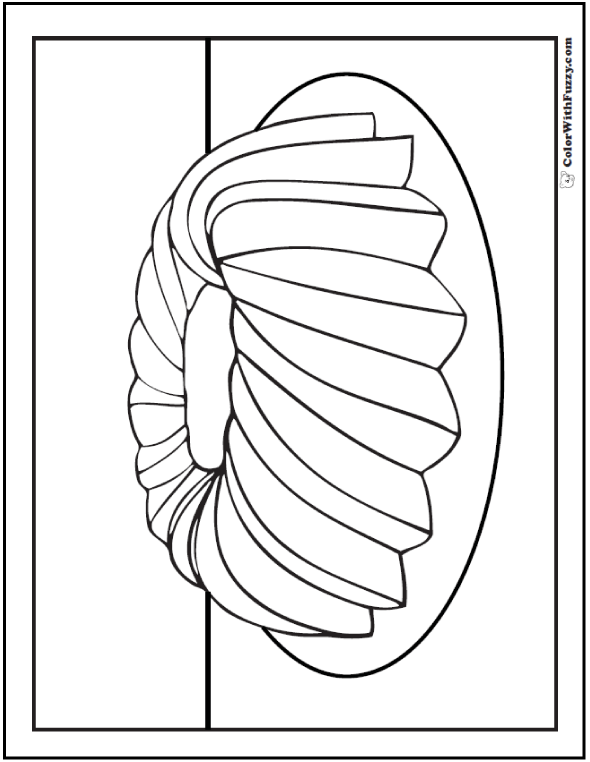 Choose the booklet for the setting on your printer. This will print on the right side of an 8.5x11 inch paper. 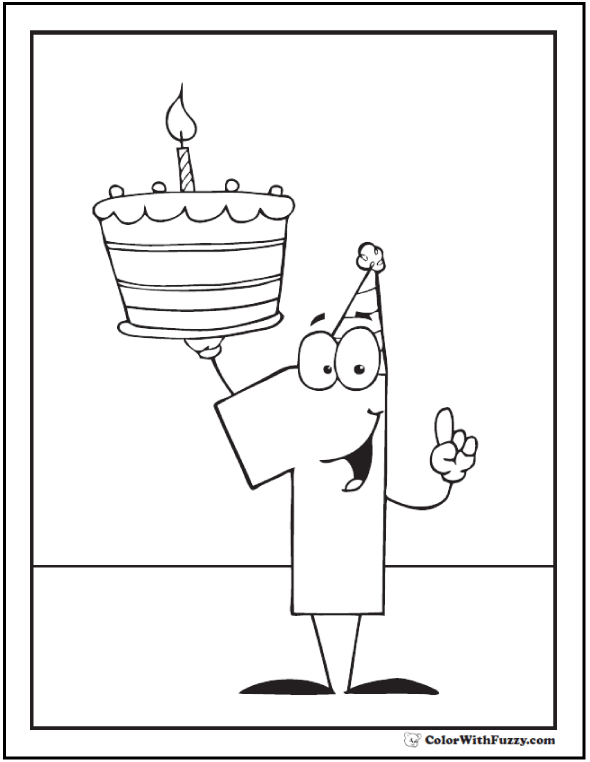 This makes horizontal or vertical greeting cards. 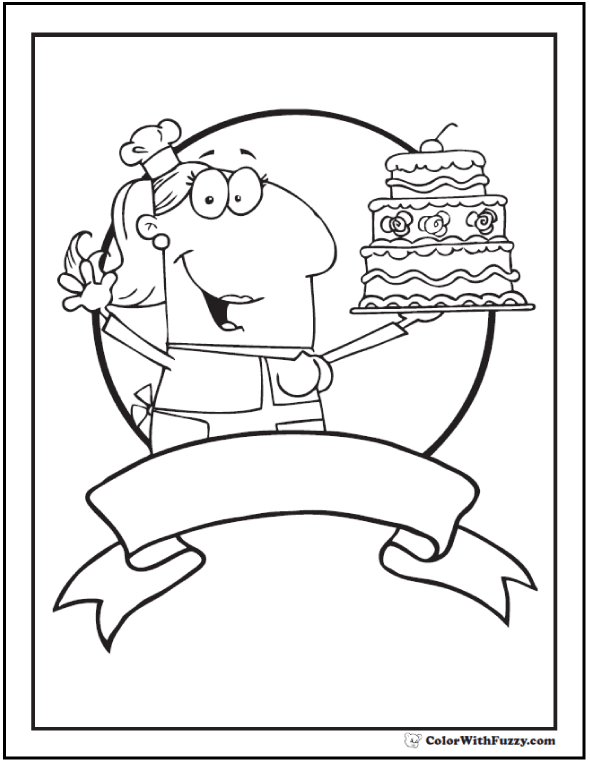 A cake coloring page can also be a greeting card.